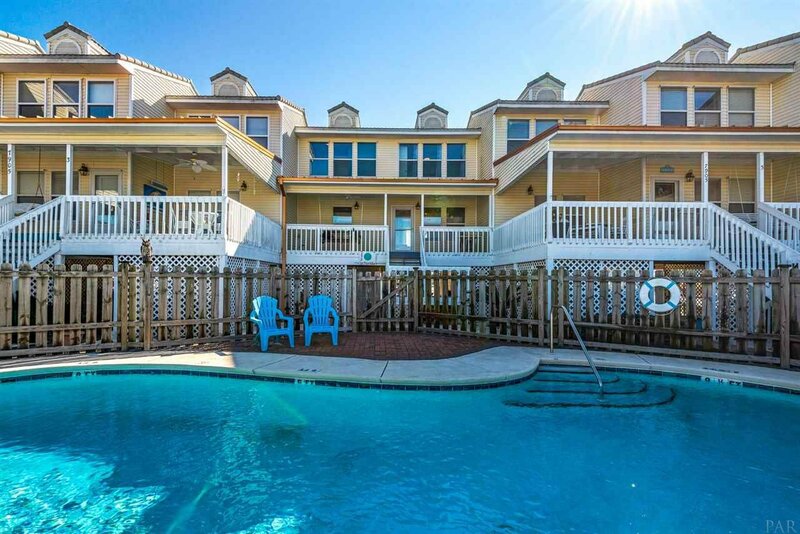 The Property at 7905 White Sands Blvd Unit #4, Navarre Beach, FL 32566 is for sale. A rare opportunity to live the island life at Gulf Island Townhomes. This FULLY FURNISHED 2BR/2.5 bath townhome has outstanding views of the Santa Rosa Sound from the covered front deck and Gulf of Mexico from the sundeck in back. Water views from every single room in this home! Ground floor, decked breezeway with outdoor shower and storage shed for all your beach toys and another covered entertainment area. Restricted covenants maintain the integrity of the property. This 7 unit complex has a large community pool, landscaping and dedicated parking. Only steps away from the Emerald Waters of the Gulf of Mexico. Once you see this home you will fall in love with it. If you are considering this as a full time residence or vacation home, this is a must see. Seller has had the interior of the townhome completely repainted, updated bathrooms and new flooring. Listing courtesy of La Florida Coastal Properties, LLC. Selling Office: .